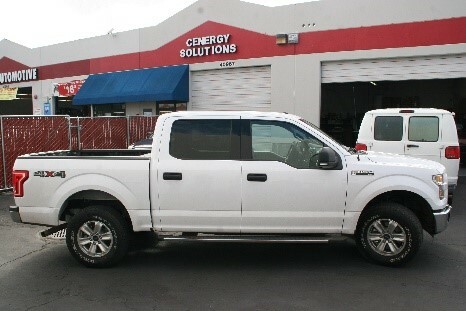 2016 ANG Ford F-150: In April of 2016 Ford Motor Company recommended that we purchase a Ford F-150 gaseous prepped truck with a 5.0 liter engine and install Cenergy Solutions’ bi-fuel ANG conversion package and ANG conformable tank to prove this technology. 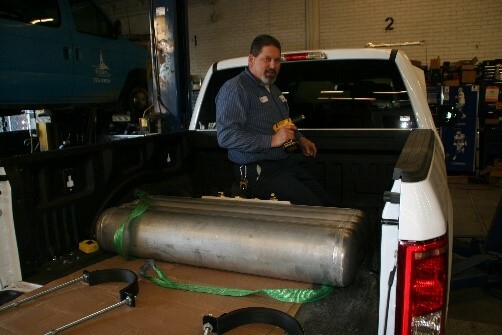 The conformable tank for the ANG Ford F-150 is a Type 1 DOT complainant aluminum tank that is ASME certified. 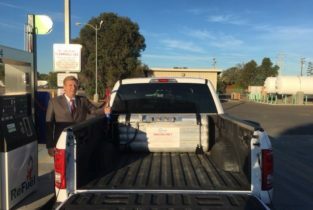 Cenergy Solutions set the working pressure at a conservative 425 psi. The tank was specifically designed to work with our ANG system. 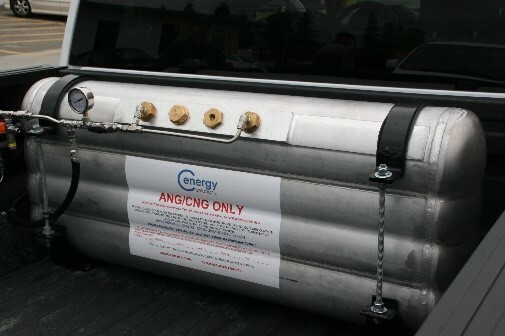 The synthetic activated carbon in the tank came from EnerG2 based out of Seattle. 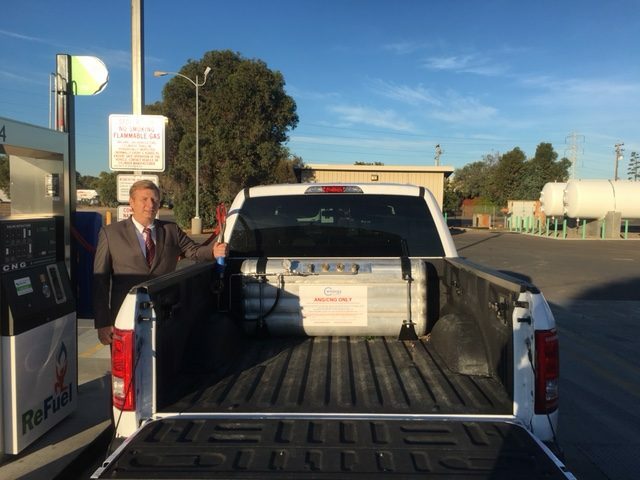 The tank for the ANG Ford F-150 CNG project has two Cenergy Solutions’ patent pending ANG filters.